Red Wine For Menstrual Cramps? Chinese Medicine Says Yes! Red Wine For Cramps? Traditional Chinese Medicine Says Yes! In the world of Traditional Chinese Medicine (TCM), each food has medicinal qualities and energetics. This simply means that there are reasons it would help some people and harm others. Makes sense, right? One of my goals as an acupuncturist and practitioner of TCM is to help people begin to think of their food medicinally. For example, if you have a headache or an upset stomach you don’t necessarily need to go into your medicine cabinet. There are foods and herbal teas which can solve the problem just as well. One example that not everyone would think of is red wine! This discussion of red wine will hopefully help you decide when it might be a good idea to have a glass or two, and when you might want to pass. Just to be clear up front, all the benefits I’m describing only happen with a glass or two of red wine, and only when needed! More frequent consumption will definitely create more problems than you started with. Alcohol increases circulation, warms the body and dries fluids in Traditional Chinese Medicine (TCM). Red wine is thought to be more warming than white. None of this is really surprising- we know it’s a bit dehydrating, it makes you feel warmer and more lively, right? But how can we apply this knowledge to our health? Start to think about conditions in which there is too much cold and stagnant blood or energy in your body. The first thing that comes to mind is arthritis pain- especially for people who have increased pain in cold weather or damp weather. 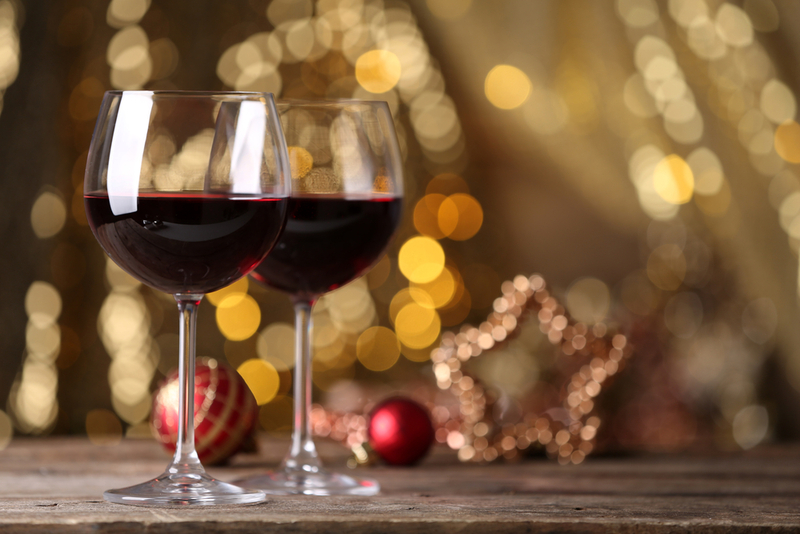 Traumatic injuries can also benefit from red wine- the wine helps increase circulation and prevents scar tissue formation, but circulation is not so strongly increased as to increase bleeding. One example of pain which generally does NOT benefit from red wine is headaches. This is because in TCM alcohol causes the qi to rush upwards, which can make your headache worse. Another reason you might drink red wine is for menstrual cramps. Since the goal is for a woman to fully shed the uterine lining with minimal cramping and clotting (both are signs of blood stagnation), one glass of red wine daily while cramps persist can be beneficial. The same goes for the postpartum period. While there is bleeding and the body is healing, the goal is to gently facilitate circulation but not so much that it increases the bleeding. Small (less than a glass) servings of red wine can aid in the postpartum recovery process. Be sure to consult with your pediatrician or lactation consultant for tips on how to safely combine alcohol and breastfeeding- it IS possible! In TCM, excessive consumption of alcohol is quite damaging- no surprise there. It increases dampness (weight gain and fluid retention) and increases heat (inflammation). Both dampness and heat accumulate and as a result damage the digestion, sleep, mood and can exacerbate skin issues such as acne and rosacea. It therefore makes sense that if you are a person who already has excess heat in your body (always feel hot, eat lots of spicy foods, red skin or eyes, sweat easily), you should probably avoid red wine. If you must have a glass of wine, choose a more cooling white wine instead.